We developed the IFF+Engine (Intelligent Frame Finding) that intelligently searches for photos, slides and filmstrips, which lie on the flatbed or in the film holder. All image frames are now perfectly found. 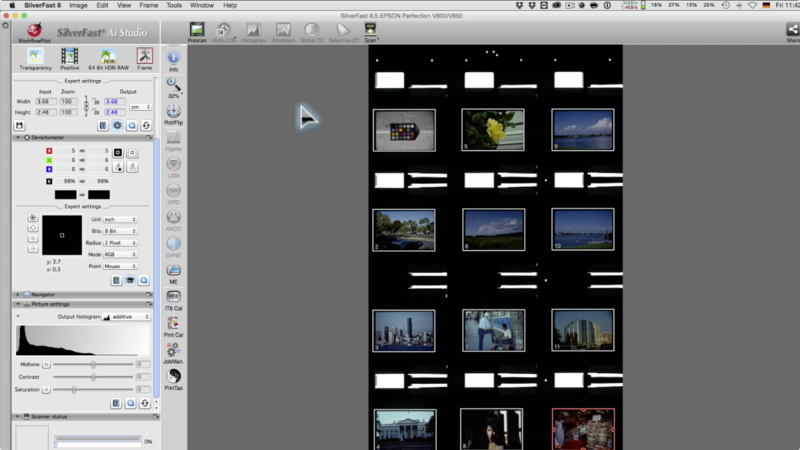 In addition, the frame outset option ensures that no images are cropped during scanning. Store your images on your hard drive, fast and securely with your SilverFast Archive Suite 8.5. Open the SilverFast preferences and switch to the "Auto" tab. Enter a value of 5% into the "Find Frames: Outset" text field and a safety addition of this size will be added to all frames when starting the scanning process. Different cameras expose different wide film areas, and not every camera transports the film equidistant. 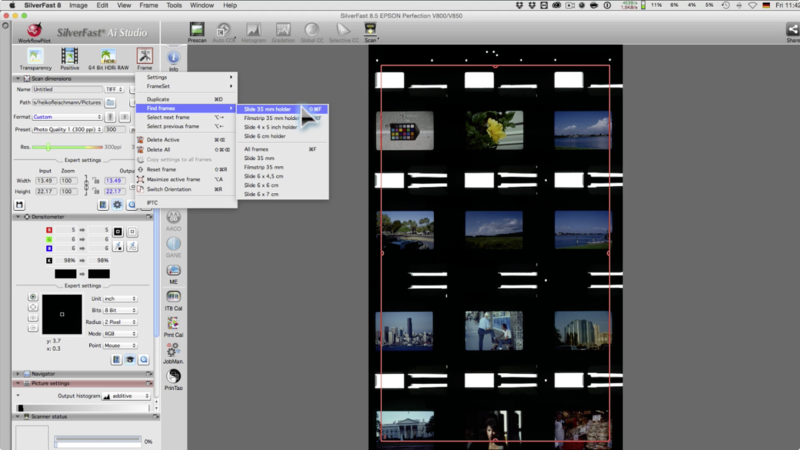 Therefore, the actual image size on slides and filmstrips, and also the distance between individual images on filmstrips can slightly vary from film to film. For example, the image width can sometimes be 34.8mm instead of exactly 35mm. The new IFF+Engine takes this into account and detects even the smallest differences in image size up to a hundredth of a millimeter. Additionally, you can force a custom image size. 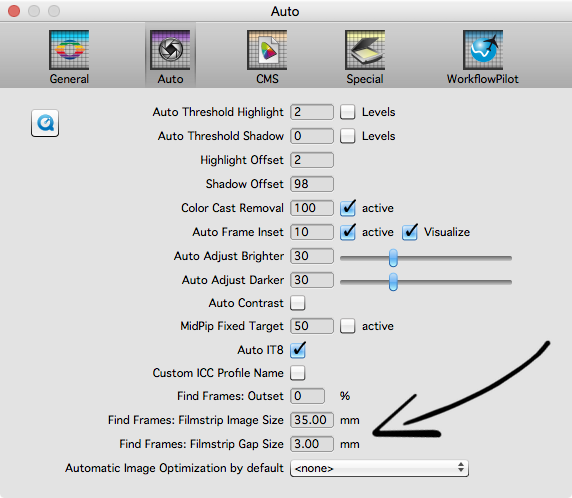 To do so, enter the desired image frame width for your filmstrips in mm in the "Find Frames: Filmstrip Image Size" field. 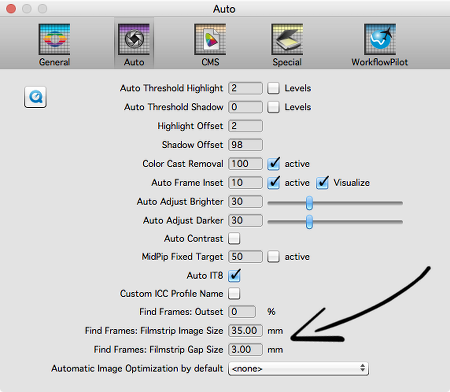 If you also need a specific fixed distance between individual images, use the setting "Find Frames: Filmstrip Gap Size". Please also take notice of our Movie, which examines these special additional options more closely. * Note: These additional features are included with SilverFast Ai Studio, HDR Studio und Archive Suite. We offer different variants of our SilverFast scanner, HDR digital imaging and archiving software. Click on one of the PDF icons to open an overview PDF, which shows the key differences.